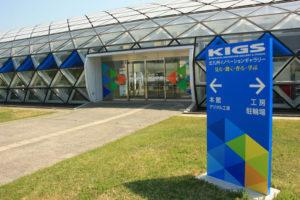 greatly to the development of the Japanese industry modernization. 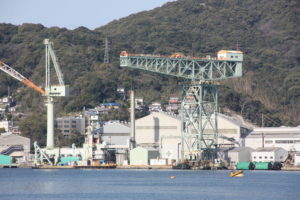 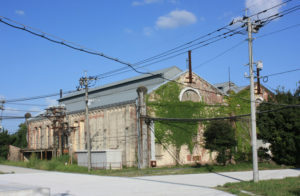 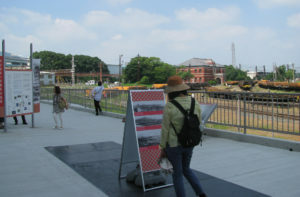 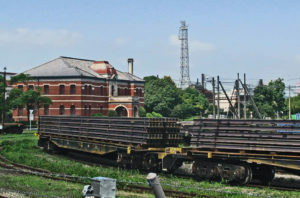 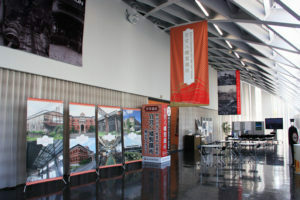 UNESCO World Heritage as Sites of Japan’s Meiji Industrial Revolution in 2015. 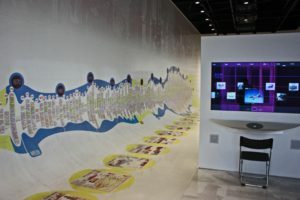 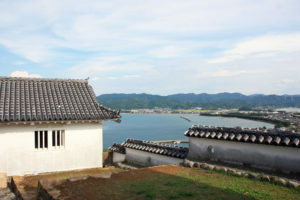 City can be learned while visiting World Heritage sites and related Industry Heritages. 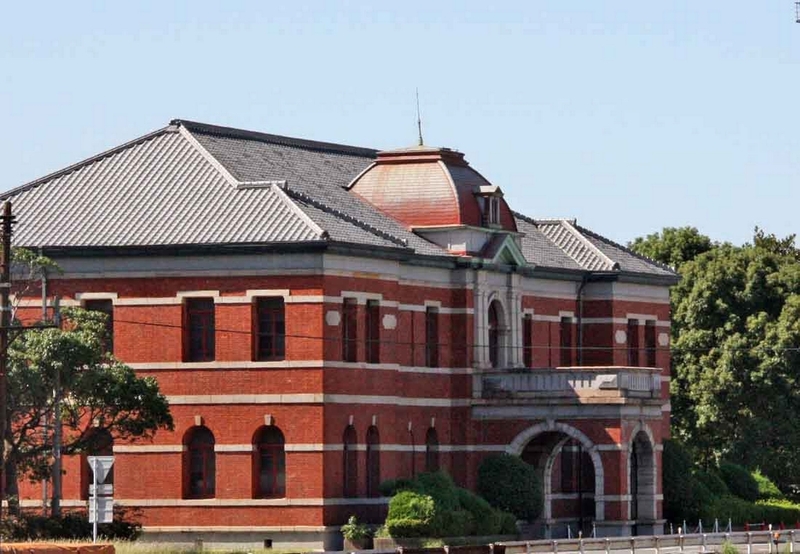 where Japan’s mordern steel industry operation was started. 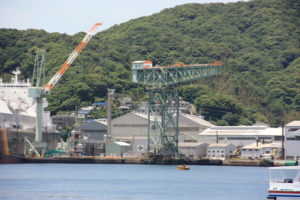 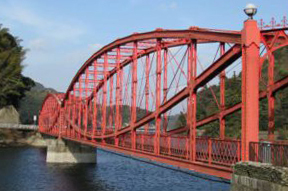 contributed greatly to the development of the Japanese steel industry. 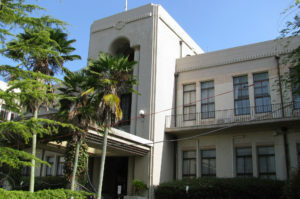 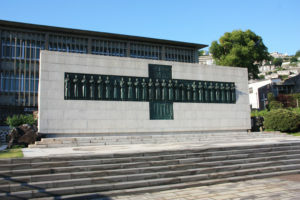 The western-style building of Art Deco style architecture. 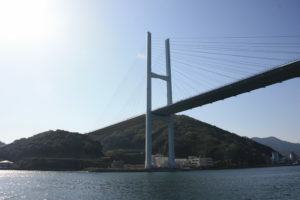 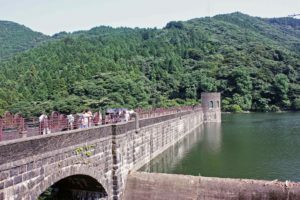 The Hall building received the Kitakyushu City Architectural Culture Award in 1989.
the volume 7milion cubic metre reservoir. 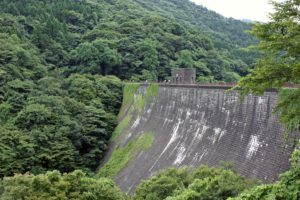 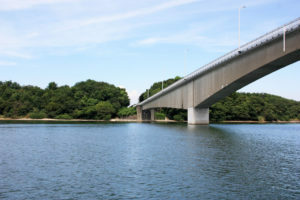 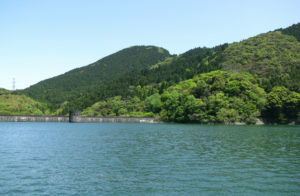 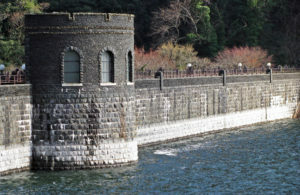 side of Kawachi Reservoir and it was designed by Hisanori Numata. 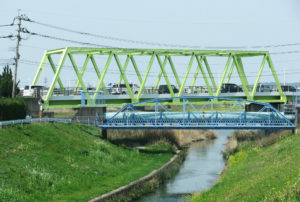 This shape and color really harmonize with nature and become a symbol of the Iron town Yahata. 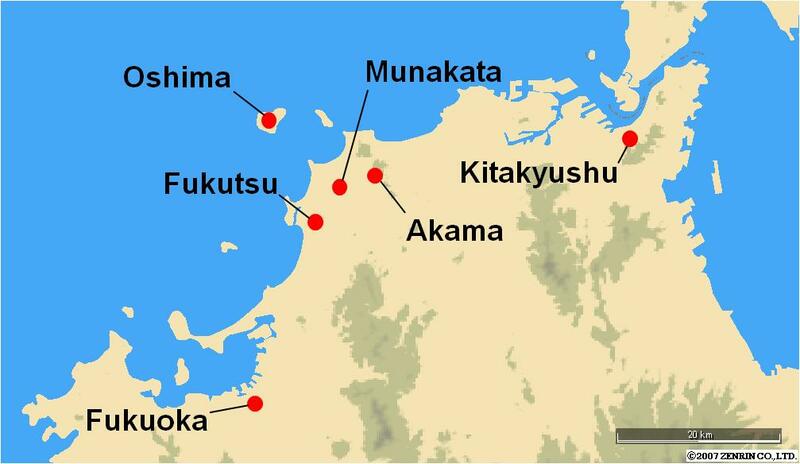 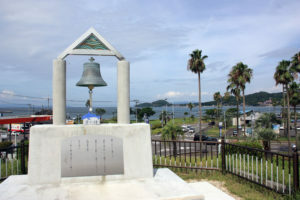 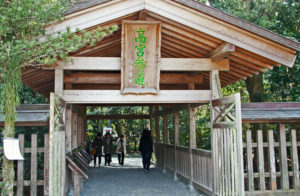 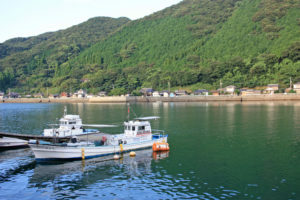 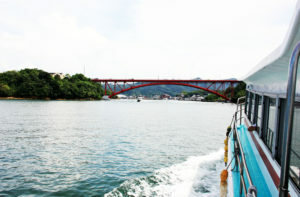 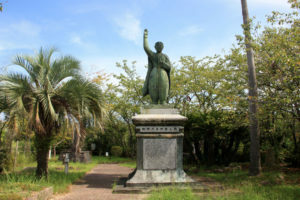 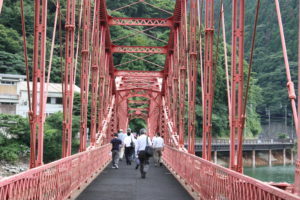 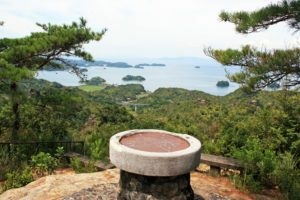 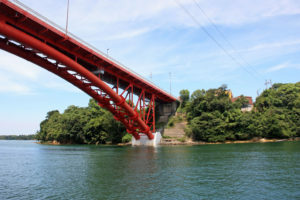 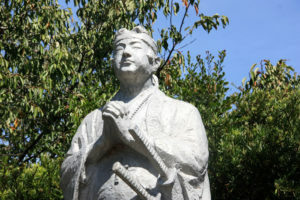 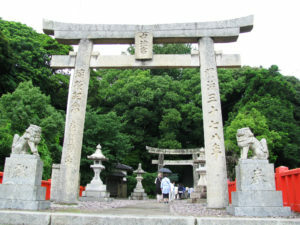 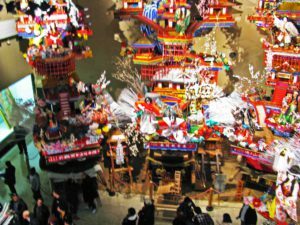 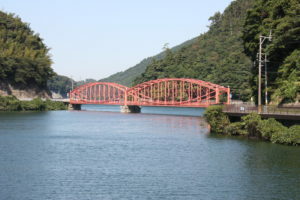 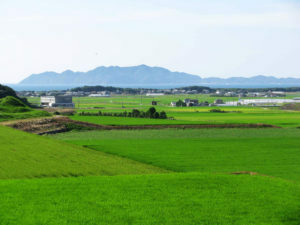 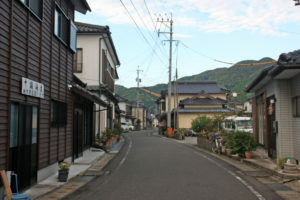 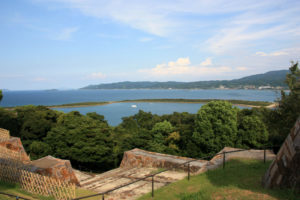 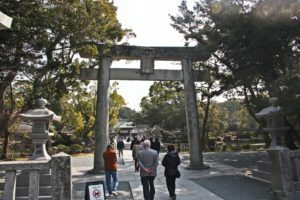 This tour introduce UNESCO World Heritage and related places in Munakata and Fukutsu. 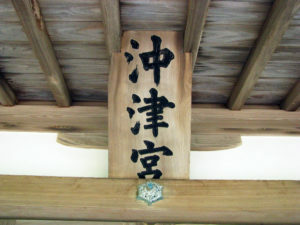 Ichikishimahime-no-Kami, beyond the Shinmon gate. 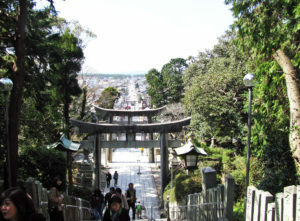 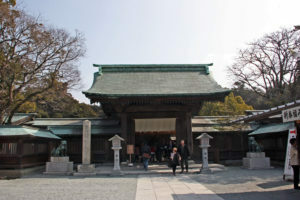 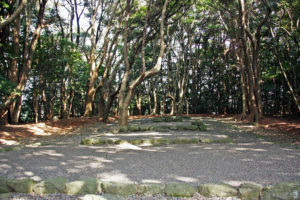 The steps lead to Takamiya Saijo (Ceremonial Site), where ancient rituals were performed. 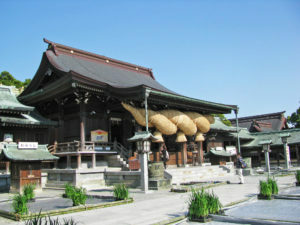 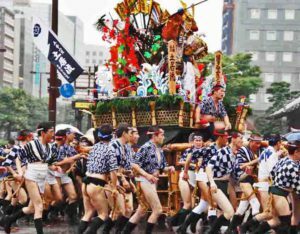 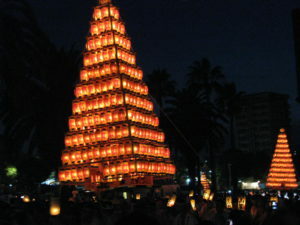 Takamiya Saijo is very important since the rituals currently observed at Hetsu-gu originated there. 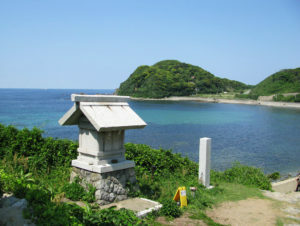 Okinoshima via the Tsurikawa River, Oshima, and finally across the Genkai Sea. 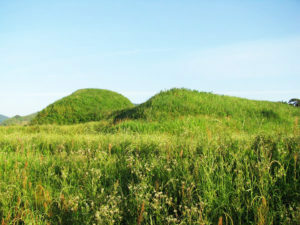 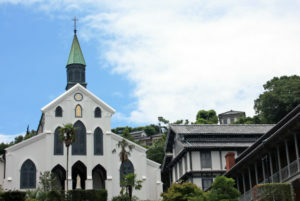 and nurtured the tradition of faith in in the sacred island. 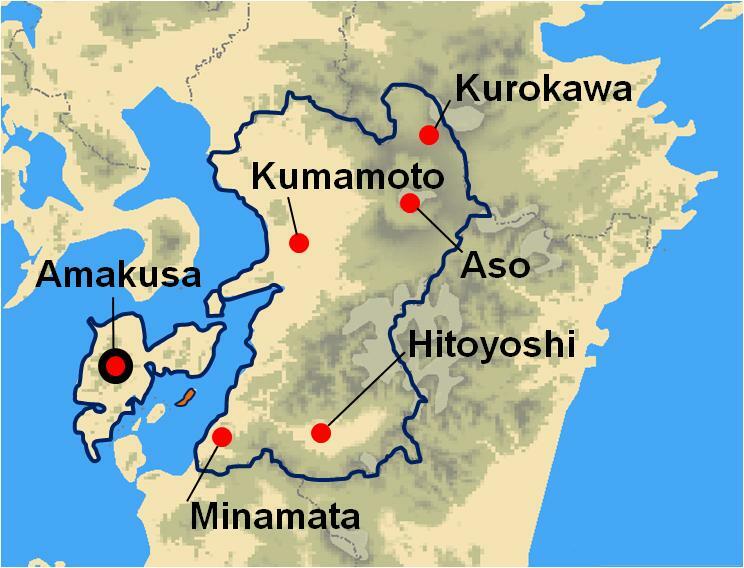 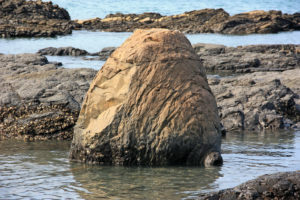 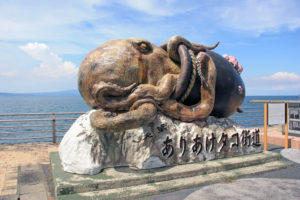 The Shimenawa is the biggest in Japan. 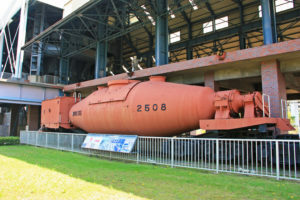 Surprisingly, weight is 3ton, with 2.6m diameter and 11m length. 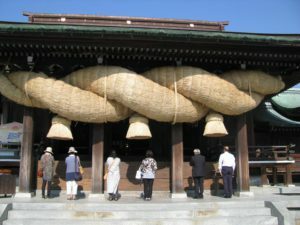 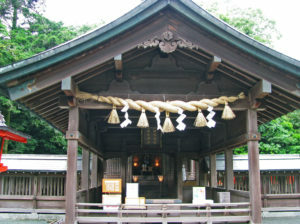 had the power to keep off evil sprits, so many objects connected with Shinto Shrines decorated. 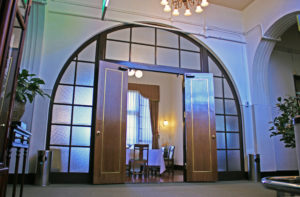 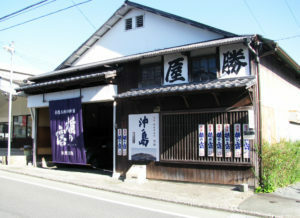 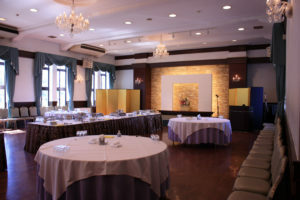 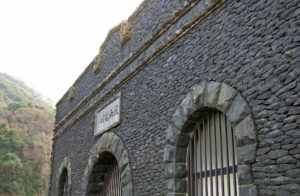 Katsuya Shuzo is a renown local Sake brewery has long history, established in 1790. 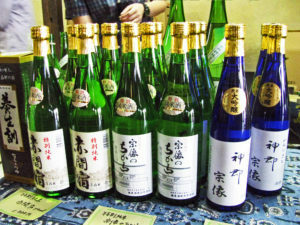 The Goshinshu or dedicated Sake to deity for Munakata Shrine is being made this Brewey. 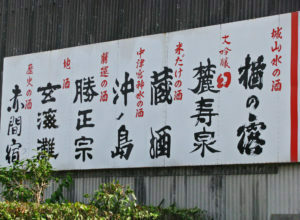 Recommended Sake are Okinoshina, Naranoki and Genkainada. 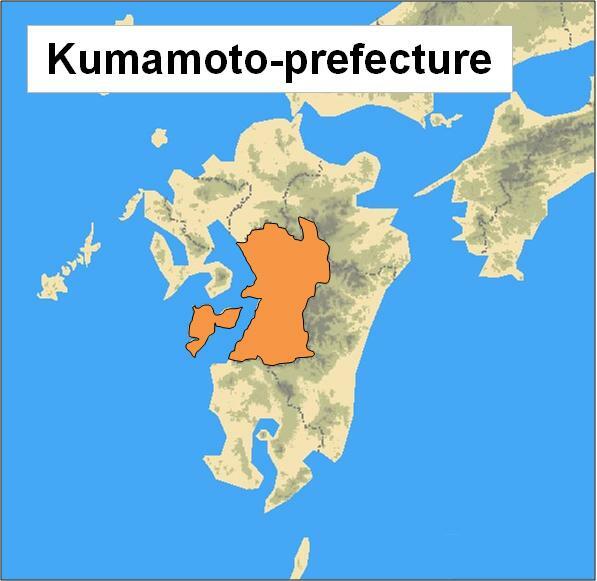 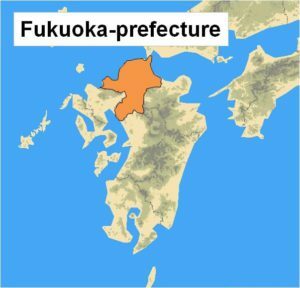 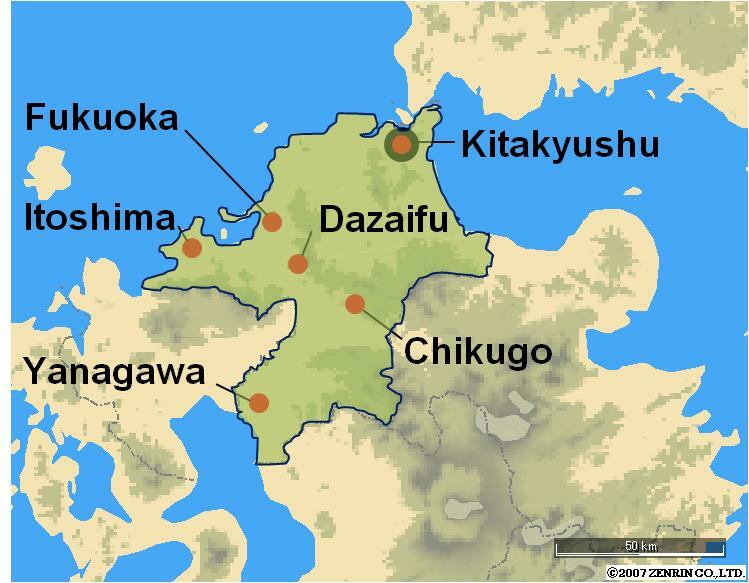 Rebellion occurred in Shimabara in 1637. 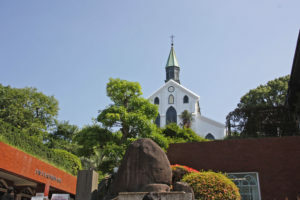 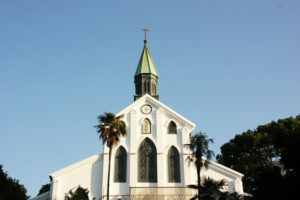 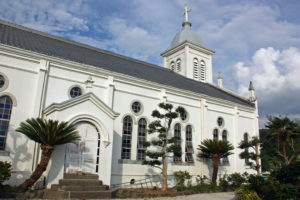 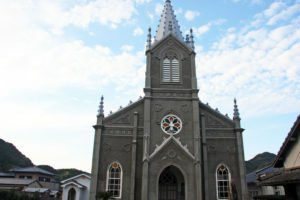 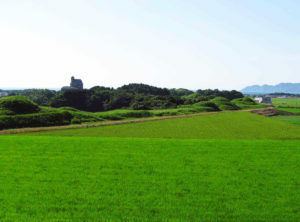 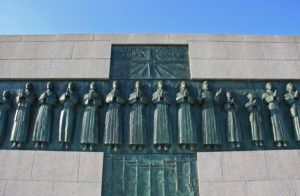 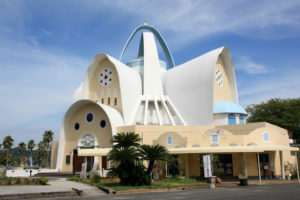 And there are two World Heritage sites in Amakusa ; Oe Cathedral and Sakitsu Village. 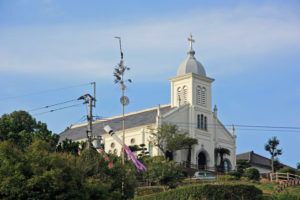 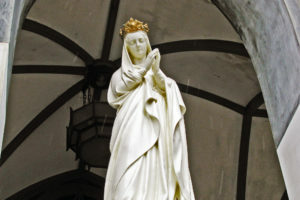 propagated to Japan, by visiting Hidden Christian sites in Amakusa in Kumamoto-prefecture. 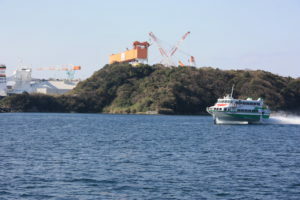 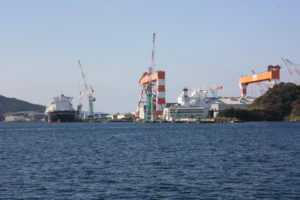 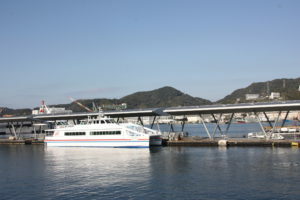 Amakusa Kamishima, was built in 1966. 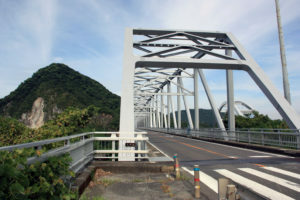 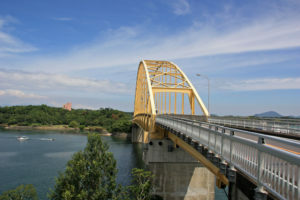 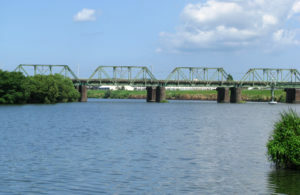 The area on the National road route 266 called as the Pearl Line. 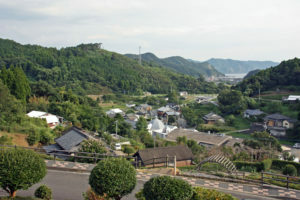 under the leadership of Amakusa Shiro in 1637.
contributions from local Christians living in the area. 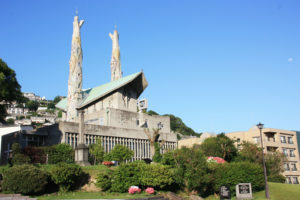 wooden and concrete finished church, with Tetsukawa Yosuke’s design and construction. 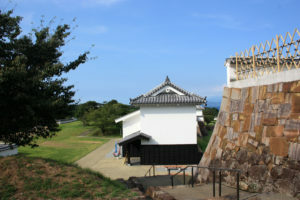 Tomioka Castle was built in 1602, one year after Terasawa Shimanokami hirotaka came to Amakusa. 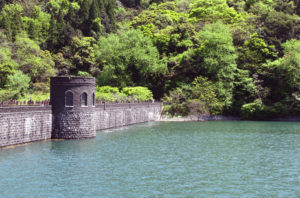 and which was restored and enlarged to its present form. 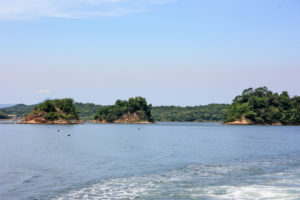 from the sea on a cruise. 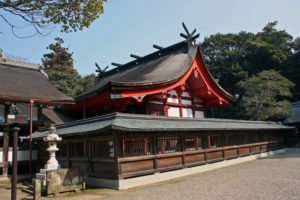 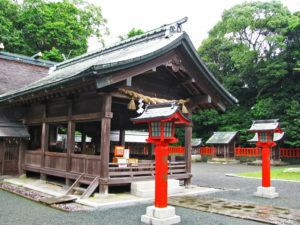 enshrines Tagitsuhime-no-Kami, one of the Three Goddesses of Munakata. 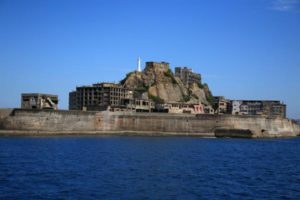 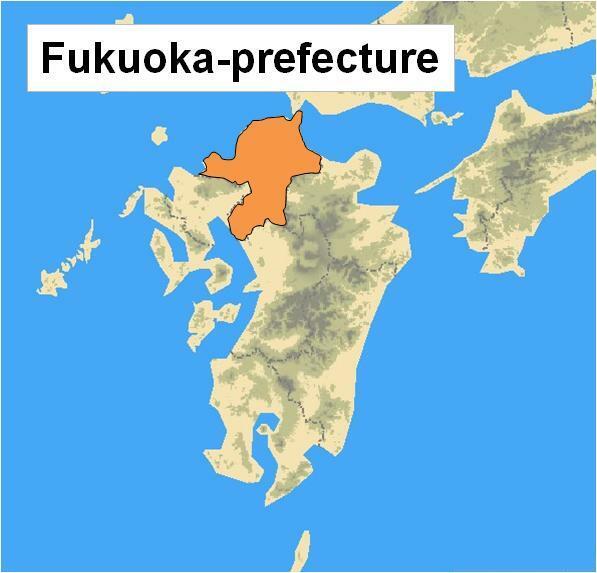 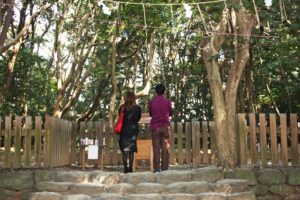 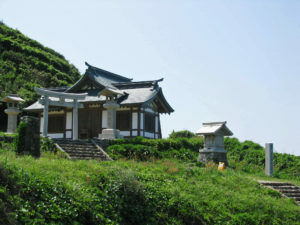 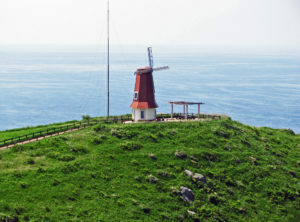 Because Okinoshima has long been an object of worship, public access to the island is strictly limited. 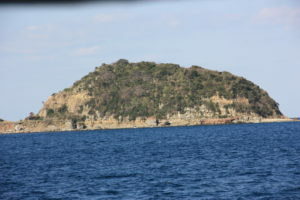 island, not even a twig, blade of grass, or pebble.